As a founding member of The Beta Band, John Maclean directed many of the cult Scottish folktronica outfit’s music videos. When splinter group The Aliens split in 2008, he moved into filmmaking, winning a Bafta for 2011’s Pitch Black Heist, a short starring Michael Fassbender. Now he’s reunited with the ‘Frank’ actor for the musicians first feature film, ‘Slow West’ – out June 26 – a mesmerising western that follows an enigmatic Irish outlaw and an impressionable young Scotsman (Kodi Smit-McPhee) on a trek across 19th century Colorado. The film features a small cameo appearance from John’s brother, Django Django drummer Dave Maclean, whose band contribute an original song to its soundtrack. NME met up with the Maclean siblings to find out more. NME: Where did the idea for Slow West come from? 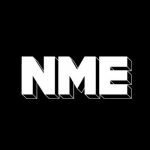 NME: Did you always want Dave to be involved? NME: Was it strange being directed by your brother, Dave? NME: Did you find out if Michael Fassbender is a Django Django fan? NME: What’s his taste in music like? NME: Have you two ever made music together? NME: But you’ve sort of collaborated on Slow West, with Django Django writing the end credits song. Was it written especially for the film? NME: John, have you closed the door on music for good now?